Say that to Akira Touya . And there is a traditional "fox" tale (I can't remember at the moment Chinese or Japanese) about a benighted traveler who thinks it is two women deciding to play a game of go where he has taken shelter. But it's dark, so they decide to do it "blindfold" just announcing moves. Till eventually one resigns "because I will lose by half a point". He wakes in the morning to find he is in a ruin, but remembers the game, and studying it, becomes a go master. And think about Koltanowski (sp?) in chess. 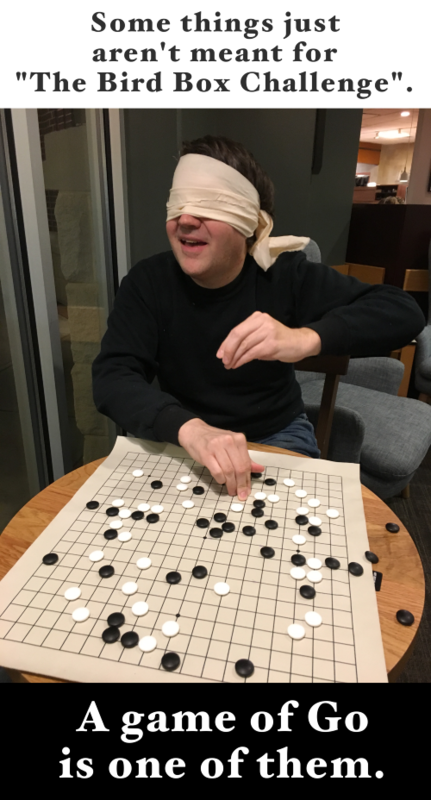 Playing simultaneous blindfold!